Stone, siding, cedar shakes, and a metal porch roof adorn the facade of this irresistible craftsman style home. An open floor plan and special ceiling treatments enhance spaciousness in the home's common living areas. The dining room enjoys a graceful tray ceiling and multiple columns, while a shared cathedral ceiling expands the great room and kitchen. A duo of double doors connect the great room to the skylit back porch. 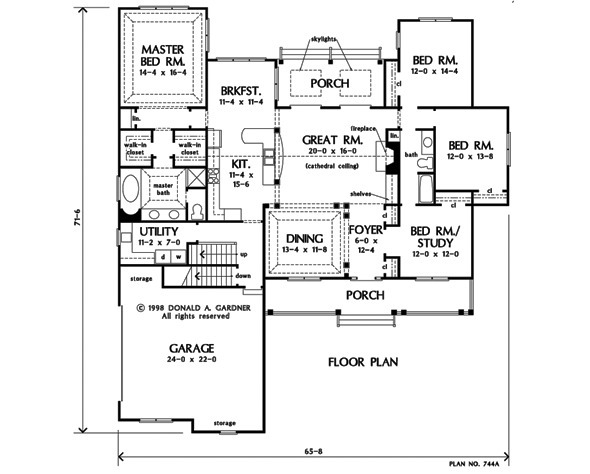 The master suite is a homeowner's retreat with tray ceiling, his and her walk-in closets, a linen closet, and tray ceilinged bath with dual sink vanity, garden tub, shower, and private toilet. Three more bedrooms share a unique hall bath. 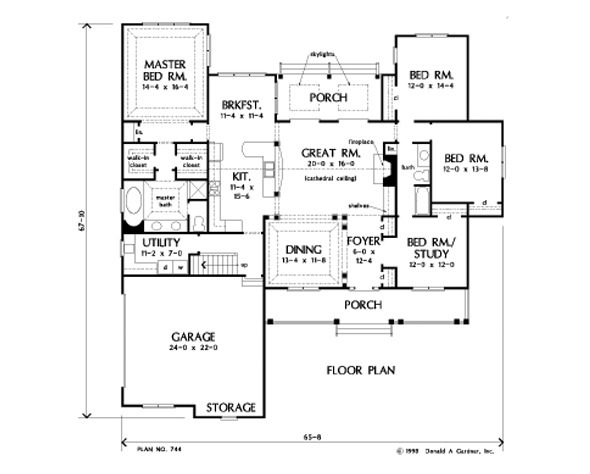 A large utility room and bonus room complete the plan. 1st Floor: 2342 Sq. Ft. 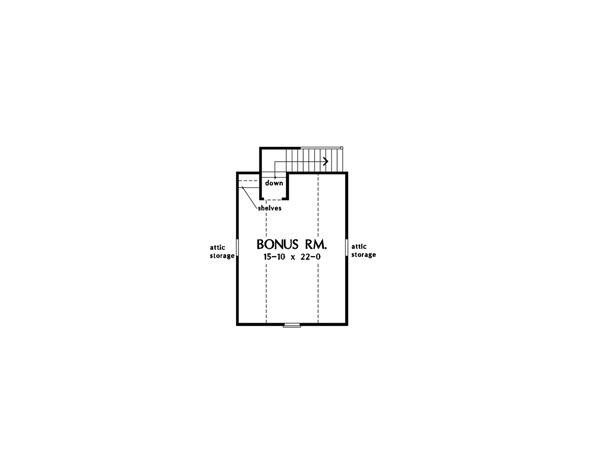 Bonus Room: 353 Sq. Ft.
House Dimensions: 65' 8" x 67' 10"
Great Room: 20' 0" x 16' 0"
Foyer : 6' 0" x 12' 4" x 9' 0"
Dining Room (Tray): 13' 4" x 11' 8" x 10' 6"
Great Room (Cathedral): 20' 0" x 16' 0" x 15' 8"
Kitchen (Cathedral): 11' 4" x 15' 6" x 15' 8"
Breakfast Room : 11' 4" x 11' 4" x 9' 0"
Utility Room (Clipped): 11' 2" x 7' 0" x 9' 0"
Bonus Room (Vaulted): 15' 10" x 22' 0" x 9' 0"
Garage : 24' 0" x 22' 0" x 0' 0"
Garage Storage : 11' 8" x 2' 0" x 0' 0"
Master Bedroom (Tray): 14' 4" x 16' 4" x 10' 6"
Bedroom #2 : 12' 0" x 14' 4" x 9' 0"
Bedroom #3 : 12' 0" x 13' 8" x 9' 0"
Porch - Rear : 18' 0" x 8' 0" x 0' 0"